You might be at that position where the computer printer at your small business is “on its last legs” or becoming impossible to run economically. On the other hand, you may find you are working your existing printer harder and need to consider a machine that is suited to your current workload. Similarly, as the end of the financial year approaches, you will face advertising from computer resellers and retailers; and office-supply stores for technology like printers at very enticing prices, usually to allow businesses to buy capital equipment that can be quickly offset against their income for tax purposes. This can become more intense whenever the government announces significant tax breaks for business owners when they purchase capital equipment. At this point, you could easily make a mistake concerning the purchase of a printer and end up buying the wrong machine for your needs. I have prepared this buyers’ guide so you can be sure you are getting the right printer to suit your business’s needs and be able to use a machine that gives you more “bang for the buck”. 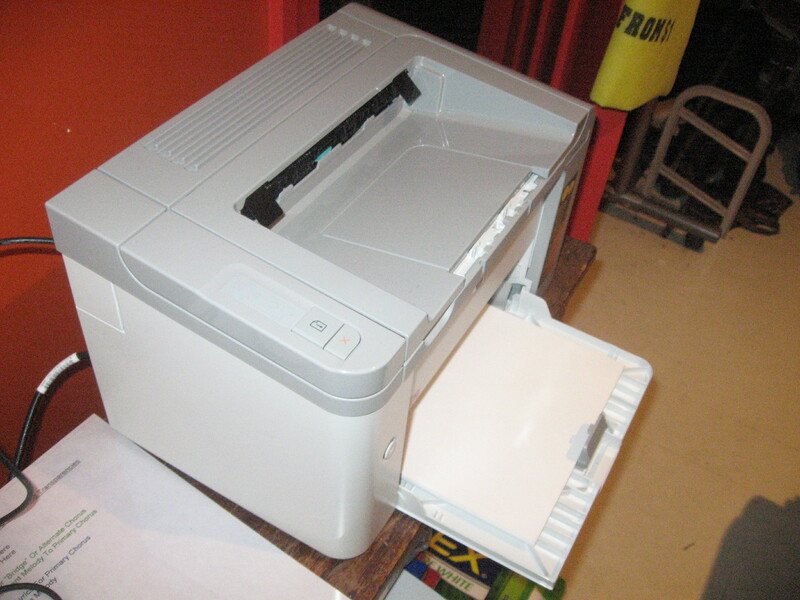 A laser printer uses a xerographic dry-printing mechanism to print the image to the paper, in a similar way to how the classic photocopier worked. But they use a laser or, in cheaper printers, an LED to illuminate the photostatic drum with the computer-generated image to be printed. Colour laser printers use four of these mechanisms to imprint the four colours and some cheaper versions may use only one drum and four toners to print the same page; which will take longer to come out. This class of printer is typically known for printing many copies of “press-quality” documents and has started the “desktop-publishing” revolution. It is worth knowing that some laser printers will use a cartridge which has an integrated drum as well as the toner supply while others like most of the Brother range will use a separately-replaceable drum unit. With the latter model, you may have to factor in the cost of the drum unit which will occur later on in the machine’s life; usually after 17000-25000 pages. This class of inkjet printer is pitched primarily at business users and uses high-capacity cartridges and is optimised for a high duty cycle. They will also have business-target functionality like advanced fax functionality and the ability to work with advanced networks. Typically this class of network printer will be optimised for photographic printing and have inks that reproduce photos well. But on the other hand, they will be optimised for a low duty cycle with low-capacity ink cartridges. 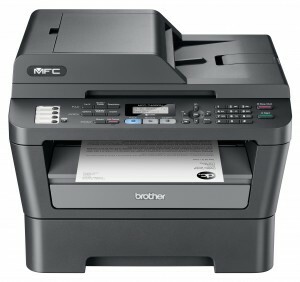 If they have fax functionality, this functionality will be very basic and as far as network connectivity is concerned, these printers will be suited to a basic small network. 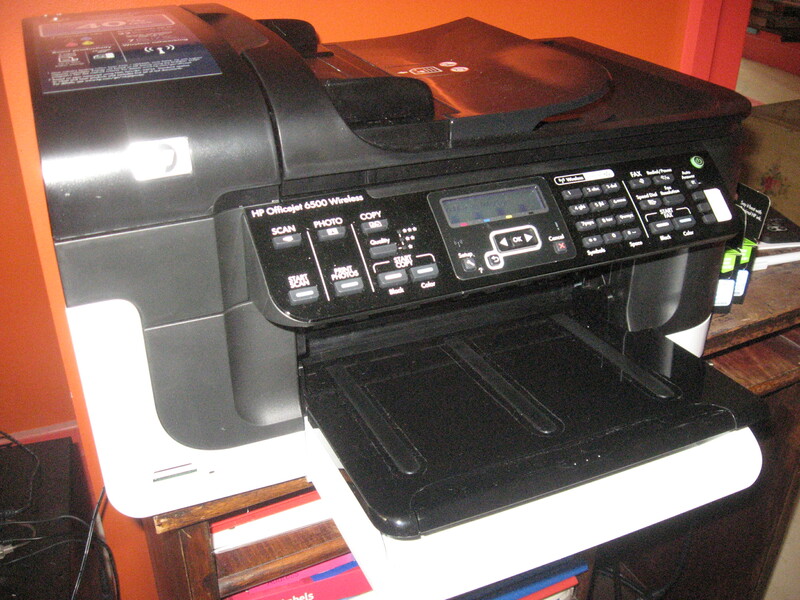 As a business owner, you may face some buying dilemmas when you choose certain printers. This is especially as manufacturers design printers, especially multifunction printers, that effectively have similar capabilities to others of a different class. Here, the prices for the machines are similar and they may have similar print speeds or functionalities. But there may be certain key differences like the cost to run the machine or the machine’s prowess at particular print jobs. The two main examples of this are: a high-end fax-equipped consumer inkjet multifunction like the HP Photosmart Premium Fax C410a ( an ePrint-enabled successor to the HP Photosmart Premium Fax C309a full-duplex inkjet printer) and a network-capable business inkjet multifunction like the HP OfficeJet 6500A Series; or a high-end business inkjet multifunction like the HP OfficeJet Pro 8500 Series and en entry-level colour laser multifunction like the HP Colour LaserJet Pro CM1415fnw. A high-end consumer inkjet printer will be optimised for photo printing whereas a low-end networkable business inkjet will be primarily targeted at printing large runs of documents. This will affect ink-cartridge capacity, machine durability, functionality and printer throughput in many ways. The former printer will typically have five or more inks and these inks will typically be in lower-capacity cartridges which need replacing more often than the four inks used in a low-end business inkjet printer. I would still suggest that businesses prefer the models with separately-replaceable ink cartridges because each ink can be replaced as needed. As well, these consumer-level printers will typically have functions that make it easier to print pictures directly from a digital camera whether it’ is “tethered” by a USB cable or one takes the “film” (memory card) out of the camera. 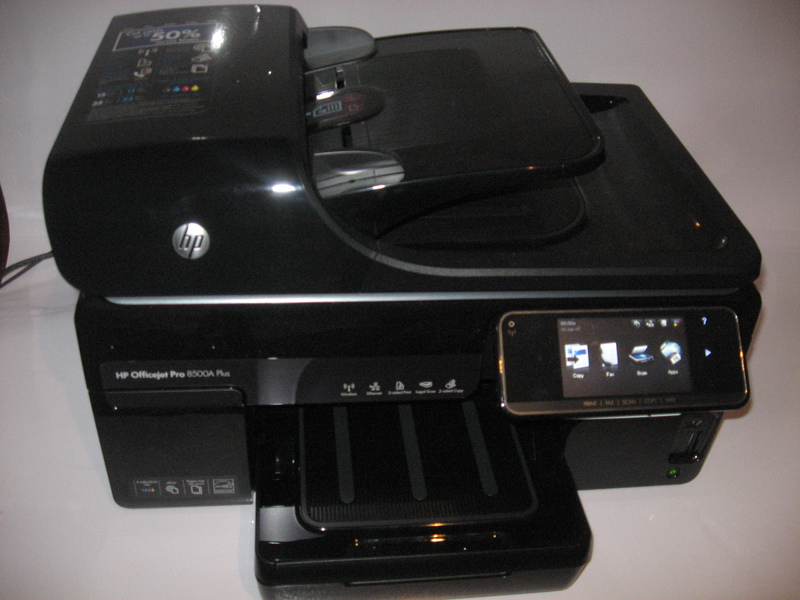 Some of these printers may offer the ability to print from a mobile phone via Bluetooth whether through integrated circuitry or an optional Bluetooth module. It may be worth knowing that some business-level inkjets are acquiring this kind of functionality but most of these printers won’t turn out the high-quality prints from digital cameras. Here, this functionality may be useful for applications where print quality doesn’t matter like hardcopy proofs that are used for “shortlisting” pictures for a project. I would consider the premium consumer-level inkjet printer as a business printer if you rely on it for turning out high-quality digital prints whether from your PC or your digital camera and don’t do much printing on it. If you want the best of both worlds, you could get by with a dedicated photo-optimised printer for photographic jobs and a business-grade multifunction printer for regular business printouts. An example of this situation is HP’s OfficeJet Pro 8500a inkjet and the HP Colour LaserJet Pro CM1415fnw. These printers have a similar throughput to each other when printing pages and also turn out a similar copy quality for the documents that are printed. It doesn’t matter whether the documents are ordinary text documents or documents filled with graphics. There may be some glaring functionality differences like the support for duplex operation or memory type. 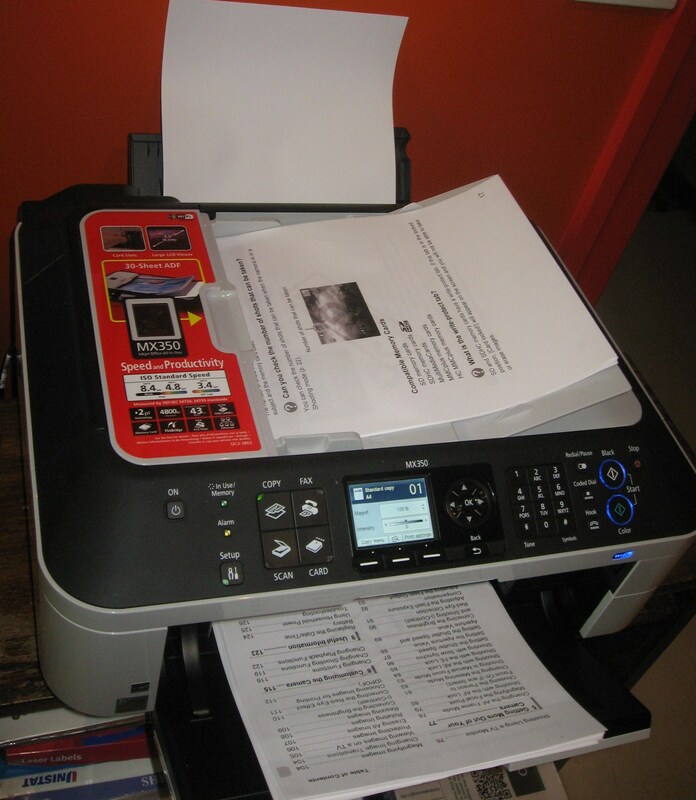 In this example, the OfficeJet Pro 8500a had “full duplex” functionality where it could print on both sides of a sheet of paper and scan both sides of a printed document whereas the LaserJet Pro CM1415fnw could only print or scan one side of a page. Conversely, the LaserJet Pro used flash memory for its fax-related features like no-paper receive, “fax vault” or send-later while the OfficeJet Pro used regular RAM memory for the same functions. The cost-per-page for an entry-level colour laser printer is slightly cheaper than a high-end business inkjet that is fed the high-capacity cartridges although manufacturers like HP are implementing ink cartridges in these printers that have a similar or better cost-per-page to the laser printers. On the other hand, the inkjet is more flexible with print media than the laser because it doesn’t use any heat to bond the marking material to the paper. This can make it useful for printing short-run documents to glossy material or printing out labels and transparencies. 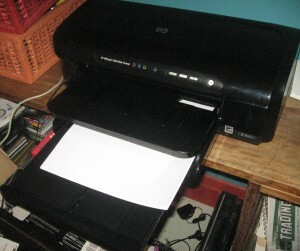 An increasing number of printers on the market, like most of the printers I have reviewed on this site, are of the “multifunction” type with a built-in scanner mechanism. Here, these printers will be able to scan to the computer or work as convenience light-duty photocopiers. Most of the business-focused multifunction printers are able to work as fax machines and these units typically are equipped with an automatic document feeder. Compare this with the dedicated printers which just print from a computer. This class of printer is typically represented by laser printers or some photo-grade inkjet printers pitched at the graphic arts users. A multifunction printer can work well as an all-round “workhorse” printer for most office applications whereas a dedicated printer can serve “infill” requirements that the multifunction cannot achieve. For example, you could use a colour inkjet multifunction printer as the main office printer in a doctor’s office while you have a monochrome laser printer turning out health-insurance forms and accounts that are part of the workflow. Similarly, you could use an A3 colour inkjet printer for turning out plans, signs and similar documents while you use a regular A4 multifunction for regular printing needs. A feature that is becoming common amongst a lot of printers is auto-duplex printing. Here, the printer is able to automatically “flip” the page to print on the reverse side of the paper. This has become popular as a paper-saving measure but some of us may find it of value as a desktop-publishing benefit. This is demonstrably so with laser printers like the Brother HL4150CDN colour laser that I recently reviewed. Here, the printer can print “to the edge” yet work on both sides of the page. As well, laser printers don’t have to “dwell” for up to 15 seconds to allow the ink to dry, thus it doesn’t have significant impact on print speed. Infact the previously-mentioned Brother printer could work both sides of two pages at once and with this, there is effectively no throughput penalty if you intend to do duplex or booklet printing. Some inkjet printers, namely HP printers, may require a non-printed margin at the top and bottom of the page for auto-duplex printing. This is perceived to permit reliable paper handling but can be a problem if you intend to print landscape documents or “work to the edge” in your documents. It is also worth noting that some printers such as cheaper high-throughput colour lasers may only be able to use this function for the common document paper sizes like A4 or Letter. At the moment, it is worth noting that not many of these colour laser printers that have auto-duplex printing can print on both sides of small-page “flyer-size” documents like A5, DL or postcard. 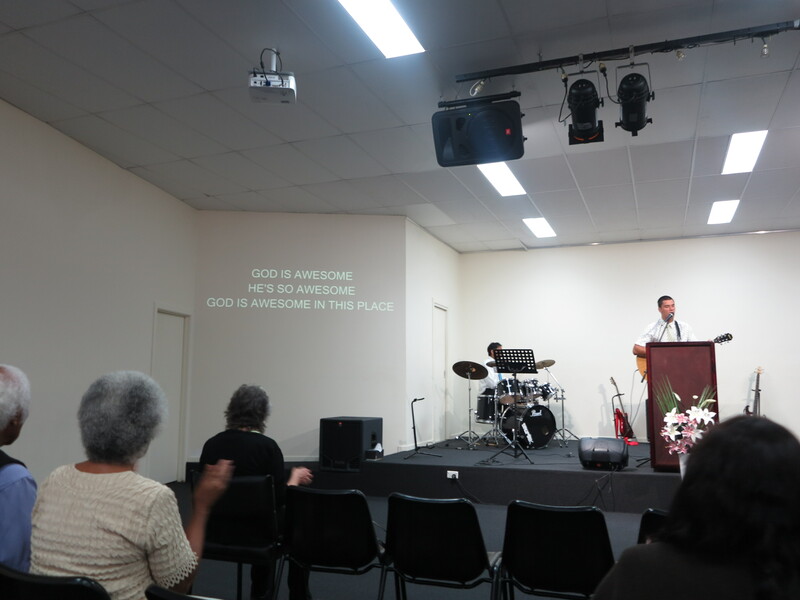 This is usually because the auto-duplex mechanisms are not able to reliably push the small sheets of paper through the colour laser printing mechanism in order to print on both sides of the flyer. It may be worth knowing that some high-end A4 multifunction printers will be likely to have “full duplex” functionality. This means that they will have auto-duplex printing as well as an automatic document feeder that can scan both sides of a page. This typically leads to functions like automatic “both-sides” copying and faxing. Firstly, most of the multifunction printers that appeal to the business user will have an integrated fax functionality. This can be of use if that old fax machine has nearly “had it” or is becoming costly to run due to its use of the thermal-transfer tape. Infact, the purchase of a low-end plain-paper fax that uses this kind of printing is really a false economy because these fax machines will work through the thermal-transfer tape even if a page is partially written on. 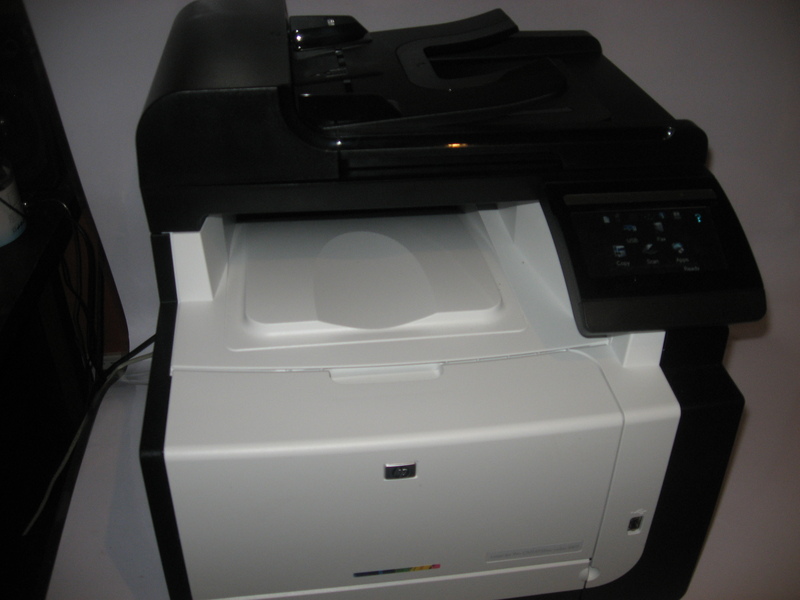 Instead, a fax-equipped multifunction printer uses the ink or toner when and where it needs to mark the document. As well, it will save on bench space because you don’t have to have a separate machine to receive your faxes on. This is an important requirement for small offices and shops where this space can be at a premium. It is also worth knowing that the inkjet and colour-laser multifunction printers that have the fax functionality are capable of receiving and transmitting faxes in colour to businesses equipped with similarly-capable equipment. Here, if you select “Colour Fax” on these machines, they will transmit the document according to “best-case” rules where if the receiving machine isn’t colour-capable, the transmission will succeed with the document being in monochrome. 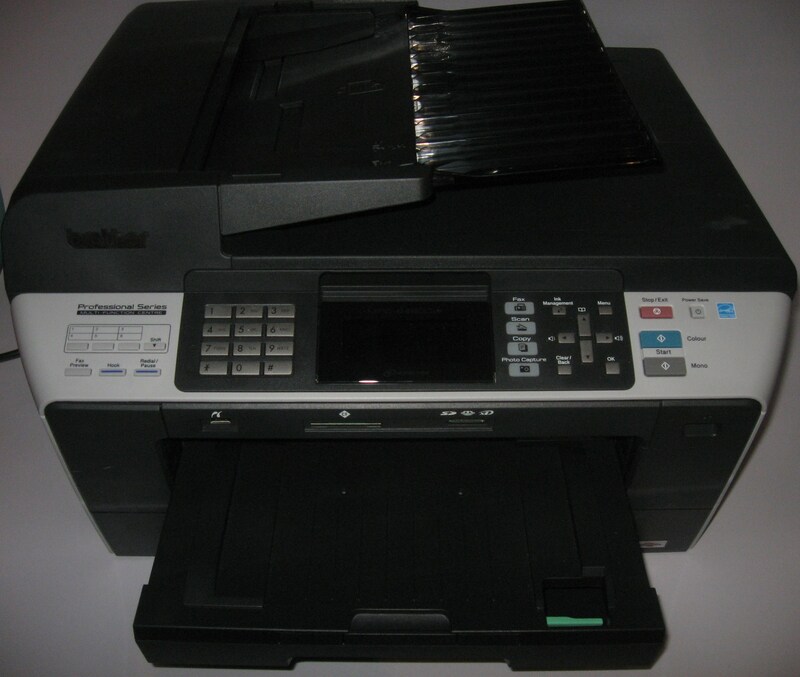 Other examples of these printers offering increased value for money as a small-business fax machine include the business class printers offering a “fax-vault” function where you can set the unit to hold received documents in memory and print them when required; or “print-to-fax” functions or “fax-to-computer” functions so you can fax a document from your computer or capture a faxed document to your computer without reprinting it. 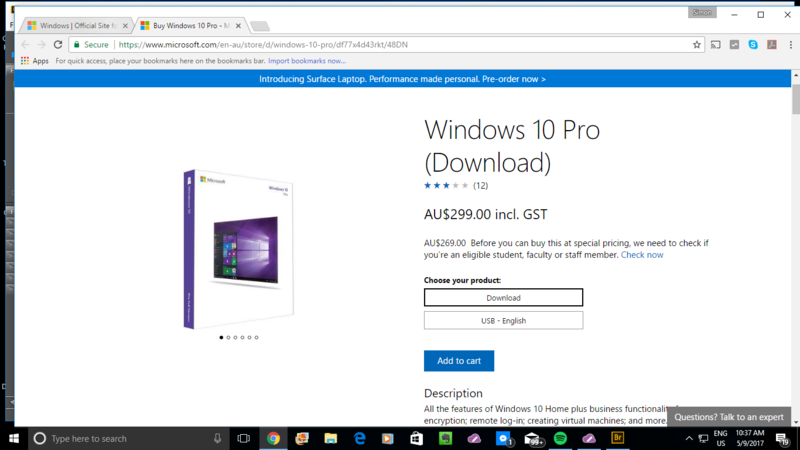 Of course, these machines will have the expected fax functionality and can work with a dedicated fax line or a shared phone line, including support for “distinctive ring” dedicated-fax-number setups like Telstra’s Faxstream Duet. A lot of inexpensive consumer and small-business inkjet printers still use two cartridges for their printing setup. One of these cartridges is the black cartridge while the other is a “tri-colour” ink cartridge that houses the cyan, magenta and yellow inks in one plastic body. The main problem with this design is that if one colour runs out in the colour cartridge, you have to replace the whole cartridge even if there is plenty of ink remaining for the other colours. It can become more exacerbating if you print material using your business’s trad dress which will be dominant in particular colours. This may be OK for an occasionally-used printer but should be avoided if you use your printer frequently. Instead, look for a midrange printer that uses four or more ink cartridges with each colour in its own cartridge. 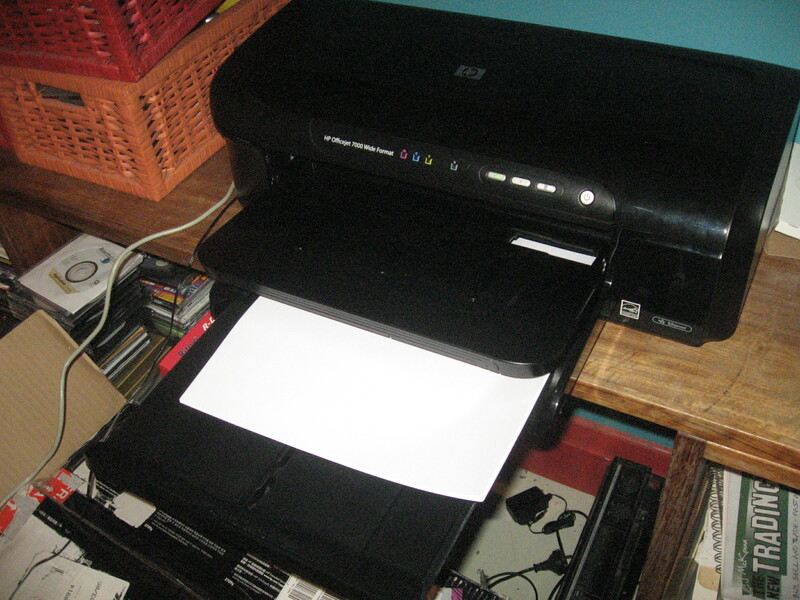 Another feature common with inexpensive network multifunction printers is to provide Wi-Fi as the only network connection method. This is more so with the printers that are positioned at the consumer end of the market. There are a few limitations with this setup. 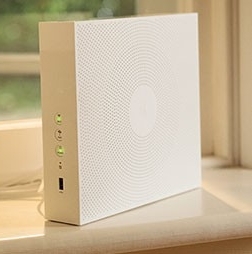 One is that you have to run a Wi-Fi network to obtain the benefits of network connectivity and this can be fraught with problems because of Wi-Fi being a radio based method. 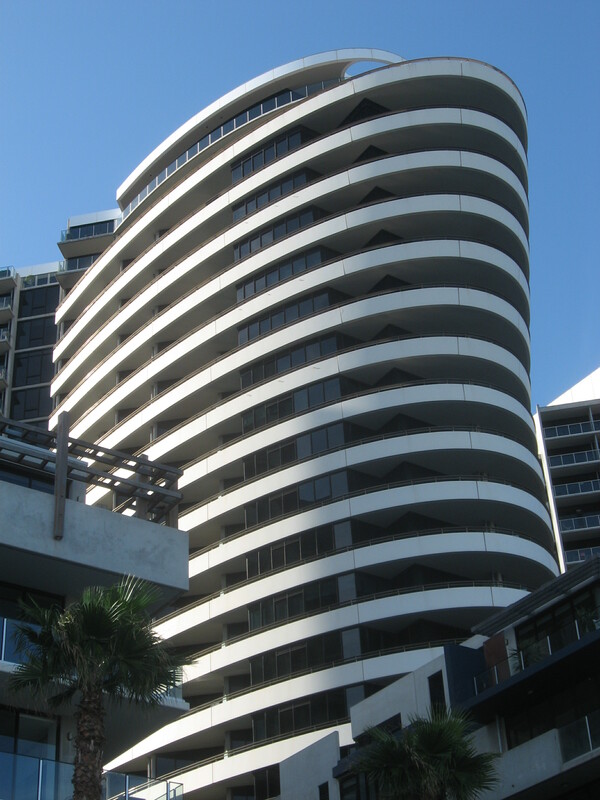 For example, walls made out of double-brick, cinder-block or reinforced concrete can play havoc with a Wi-Fi link; as can metal-reflective insulation. 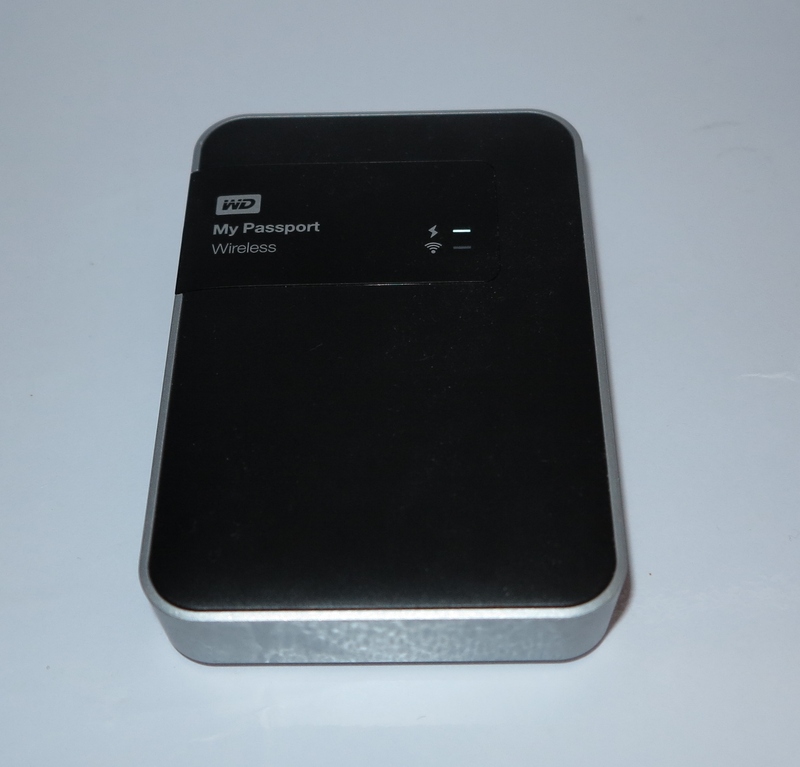 This limits the ability to connect the printer to your business network using alternative network technologies like Ethernet or HomePlug powerline networking. 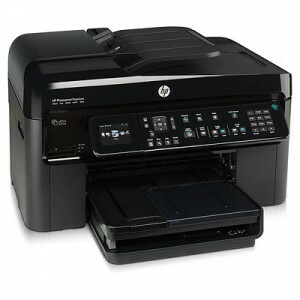 As well, a lot of these printers require the user to configure them for the wireless network by connecting them to a host computer and running manufacturer-supplied software before they will work with that network. The exception to this rule for most of these printers is Wi-Fi network segments that use WPS “push-to-connect” setup, where you may push a button on the printer or select a menu option to start the configuration process. 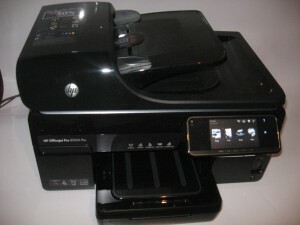 This is although the HP ePrint-enabled Wi-Fi-only consumer printers like the Photosmart Wireless-E B110a economy printer and the HP Envy 100 (D410) slimline printer do support configuration for non-WPS wireless networks from the control panel. I would recommend a midrange network-connected business inkjet multifunction printer with four ink cartridges and auto-duplex printing for a “general-use” workhorse printer. It may be OK to use a high-end consumer printer or low-end business inkjet for low-traffic applications like a secondary printer. A photo-optimised consumer printer like a Canon PiXMA or HP Photosmart may be good as a secondary printer for applications where you value high-quality photo prints with the full saturation. Some manufacturers may offer a dedicated photo-optimised printer but typically these can be very expensive and are pitched at the graphic-arts industries. A dedicated monochrome laser printers can be useful for printing out forms or documents as what would be required of medical, legal or similar professions. Here, it would be wise to look for auto-duplex-equipped units if you turn out many multipage documents like most legal documents. 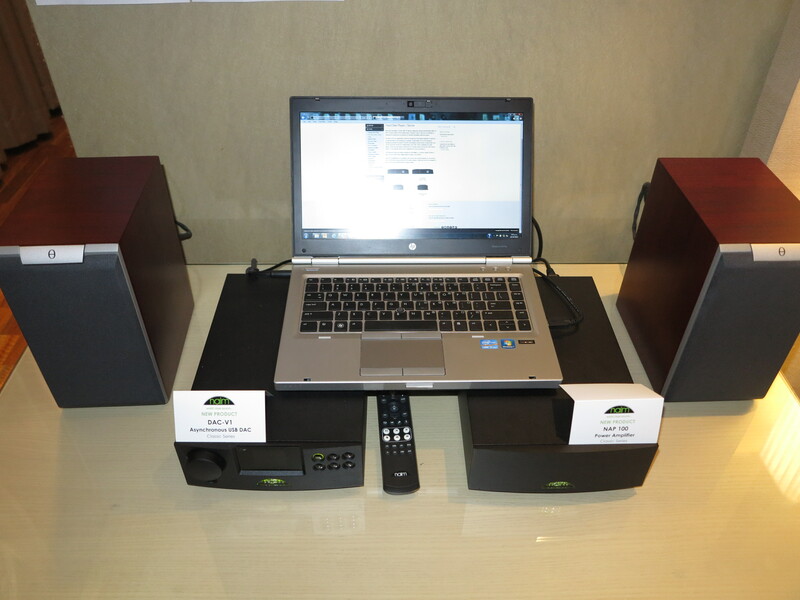 As well, I would recommend that these machines are network-connected if you have or intend to have two or more computer workstations that will turn out the documents. If you don’t care about colour printing but turn out many documents, you could get by with a monochrome laser multifunction printer like the recently-released Brother units or the HP LaserJet M1212nf that I had previously reviewed. Then if you want to do colour printing at a later date, you could add on a dedicated colour printer like the HP OfficeJet 6000 inkjet; HP OfficeJet 7000 A3 inkjet or Brother HL-4150CDN laser “desktop-publishing workhorse”. You may want to use a colour laser printer as a promotion tool for your business. I have infact written up an article about why it is worth considering these printers as a buying option. Here, it would be a good idea to stick to high-throughput colour laser printers like the Brother HL-4150CDN especially if you do a lot of your own short-run publishing, including “infill” print runs. You may want to take advantage of the larger A3 page size as a paper size for signage and similar material. It may even come in handy within the office for turning out large spreadsheets or business charts that can have more detail. 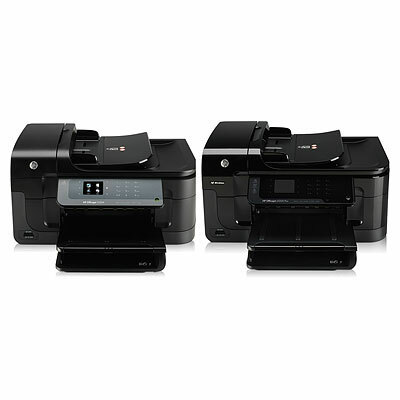 Here, you may look at a single-tray A3 multifunction like the HP OfficeJet 7500 for occasional A3 use or a dual-tray A3 multifunction like the Brother MFC-6490CW or dedicated A3 printer like the HP OfficeJet 7000 if you do turn out a lot of A3 material. Then make sure that your printer can suit your current needs as well as allowing for future needs.Here, you can then own and run the right printer that will serve your business’s needs for many years without being a drain on your business’s cashflow.